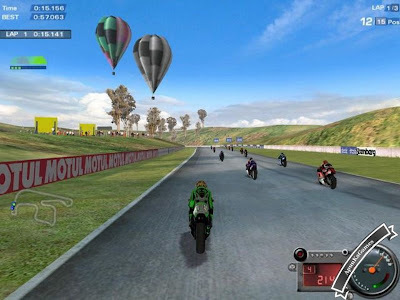 Moto Racer 3 is an arcade style motorcycle racing game developed by Delphine Software International for Microsoft Windows. 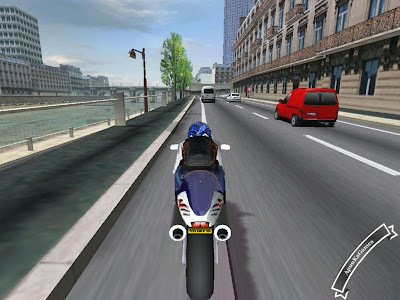 It is part of the Moto Racer series and is the sequel to Moto Racer 2. Moto Racer 3 expands on the offerings found in Moto Racer 2, having more types of races including multiplayer online play. The player controls a motorcyclist in races on various terrain. The game does not have a career mode, but instead contains many race modes: speed, Supercross/Motocross, Freestyle, Trial, and Traffic. Speed mode places the player in courses with long straights and slight curves, in order to allow the driver to reach the high speeds. The courses in the mode are set so the player can gain speed. Supercross/Motocross uses dirt tracks with hills in races designed to make driving difficult. Freestyle gives the player a time-limit to perform as many tricks as possible for points. 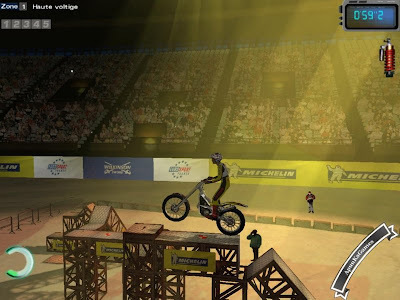 Trial mode requires the player to maneuver an obstacle course on a motorcycle. Traffic mode is a race between two participants in the streets of Paris requiring the player to avoid oncoming traffic. Each event the player completes earns the player points towards unlocking new courses and motorcycles. The game contains support for online play. 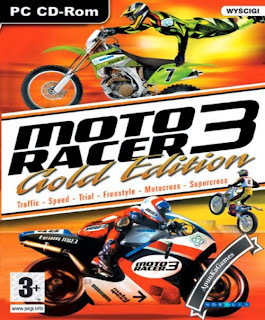 Open “Moto Racer 3” folder, double click on “Setup” and install it. Open folder, double click on “Moto3” icon to play the game. Done!